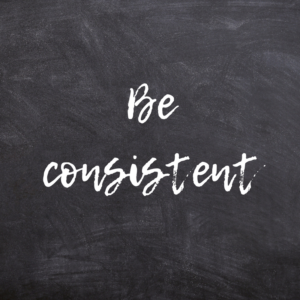 Consistency, consistency, consistency – it is definitely the theme when it comes to presentation in academic and non-fiction writing. It’s also essential when providing your readers with detailed references and demonstrating that you really do know your stuff. Consistency is a particularly important theme for this blog post too, because – having previously discussed the importance of referencing and giving a brief introduction to MLA and APA styles – I am continuing our look into some of the different academic referencing styles with an introduction to Harvard referencing. Let’s find out why consistency is so important with this referencing style. Originally used by a professor from Harvard in the 1800s, this referencing style is a parenthetical author-date style of in-text citation. APA style is based on Harvard style, so the two are fairly similar; but Harvard style is more commonly used in the UK and Australia. Unfortunately, there is no set style manual for Harvard like there is for many other referencing styles. 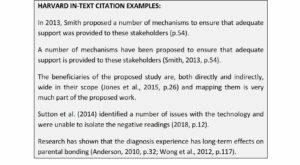 Therefore, it is extremely important that you look for guidelines from your submitting institution/journal/publisher, because many have slight differences (often relating to the punctuation required) between them. However, the main thing – as ever with presentation styles – is consistency. Harvard in-text citations are located in the text in parentheses and state the name of the author(s), the year and the relevant page numbers – these will be separated by commas. Multiple references within the same parentheses are separated by a semi-colon. References with up to three authors will list all authors on each occasion and those with four or more authors will list the first author’s last name followed by ‘et al.’. If an author or group of authors have published more than one reference cited in the same year, then the references are distinguished using letters after the year to assign a chronological order of publication – for instance: 1997a, 1997b and 1997c. The Harvard reference section starts on a new page with the title ‘References’ and the references are single spaced. There is no overhang on the first line, but there is an additional line space between each reference to provide clear separation. The references are listed alphabetically by the first author’s last name and if there is more than one reference by the same author(s) then these are listed chronologically, with the oldest reference first. As with all referencing styles, references are formatted slightly differently according to the type of source they are, so attention to detail and consistency is required. For particular note with the Harvard style, you should seek guidance from your submitting institution for what Harvard style guidelines they wish you to use (or even if they have their own) – Harvard style is not completely set in stone and you will see many slightly different versions. You may even find that you need to slightly adjust your references when submitting/re-submitting to a different institution/journal/publisher, despite them still using Harvard referencing styles. 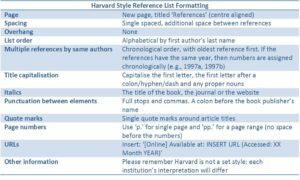 This is just a quick introduction to Harvard style referencing to get you started. It is really important to remember that Harvard style is not a set style and that there are many slightly different interpretations. It is for this reason that I am not going to provide specific links to further resources for this referencing style – look for your submitting institution’s referencing guide for clarification on the formatting they require. When I am asked to edit Harvard references, I always ask for a copy of the style guide that the writer has used and this will help me implement the style they are trying to achieve. The main thing I look for, however, is consistency in the information given, the presentation and the punctuation style. 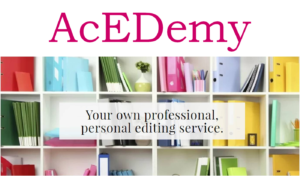 In the next AcEDemy blog on referencing, we will look at the the author-date referencing style of the Chicago Manual of Style (CMOS) – one of two ways of referencing described by CMOS.